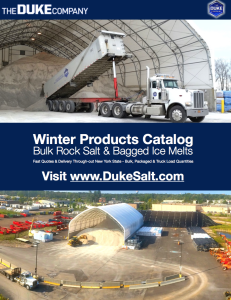 The Duke Company’s Rock Salt & Ice Melt catalog for New York state is available for download. We are proud to serve leading commercial & residential customers through-out New York State. 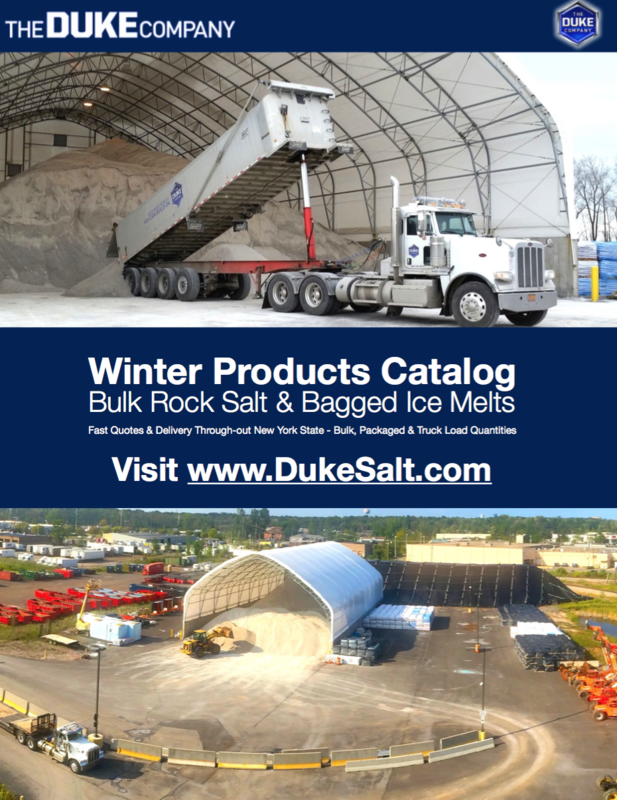 Whether your needs are for bulk rock salt, packaged ice melt products, portable heat or accessories, we are here to help. Seasonal Hours: we are open extended hours based on the weather! Text Alerts: text ‘DUKESALT’ to 55469 for updates on extended hours, schedule changes & discounts. We proudly carry American Rock Salt in 50 pound bags and bulk form. A USA company located in Upstate New York. Widely respected for its ice melting products for municipal and commercial customers. 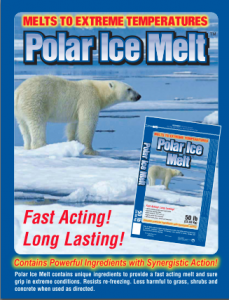 Fast acting, long lasting formulation ice melt that requires less than competing ice melts for same desired effect. Easier on the environment, easier on concrete, brick and wood and safer for pets than many other products. Infused with Calcium Chloride & CMA, designed for superior results. Fast acting, long-lasting. colored crystals melt snow and ice 2x-2.5x faster than Rock Salt. Long lasting time-frame. Calcium flake formulation capably melts snow and ice to negative 24 degrees Fahrenheit. Extreme visibility with blue color indicator. Available in 50 pound bags. Precision formulated for commercial applications. Advanced CMA coating to jump start melting process & Magnesium Chloride coating. Available in 50 pound bags. Calcium Chloride Flake effective to negative 30 degrees Fahrenheit. Calcium Flake attracts moisture making it perfect for dust control. Available in 50 pound bags. Magnesium Acetate) for exceptional melting. Not as harmful to vegetation. Available in 50 pound bags. 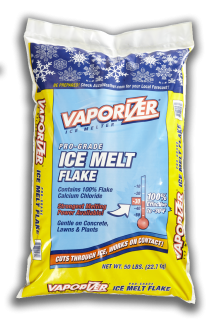 Premium performing ice melter capable of working to negative 25 degrees Fahrenheit. Available in 50 pound bags. 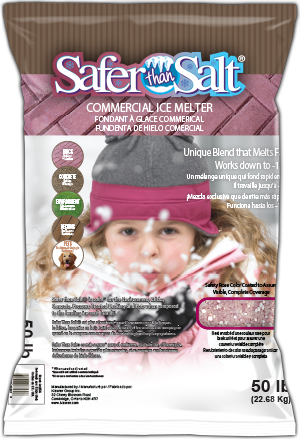 Dead Sea MAG is a high performance ice melter to -13F. Powerful performance that is naturally safer for pets, people & the environment. The Duke Company offers fast delivery through-out New York state including Rochester NY, Ithaca NY, Syracuse NY, New York NY / NYC and beyond. Call (585) 292-9870 (Rochester NY) or (607) 347-4455 (Ithaca and Seneca NY) for exceptional service and best prices. Proudly severing commercial, municipal and residential customers with bulk, wholesale and bagged rock salt & ice melt solutions. For a complete list of the Duke Company’s delivery and service areas in New York state, click here.